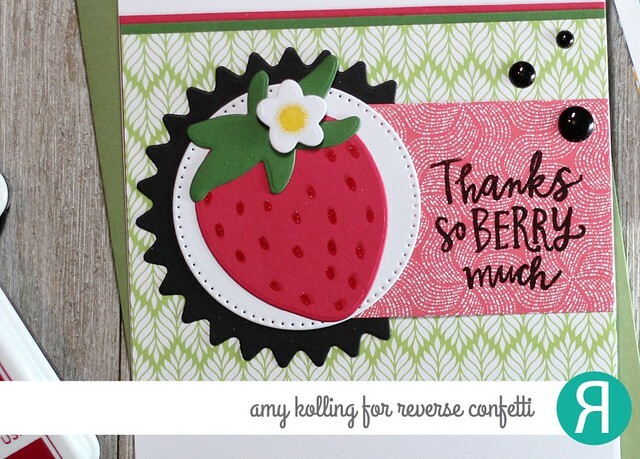 I am sharing another card made using the Bloom Brighter and coordinating Blooming Die from Verve. 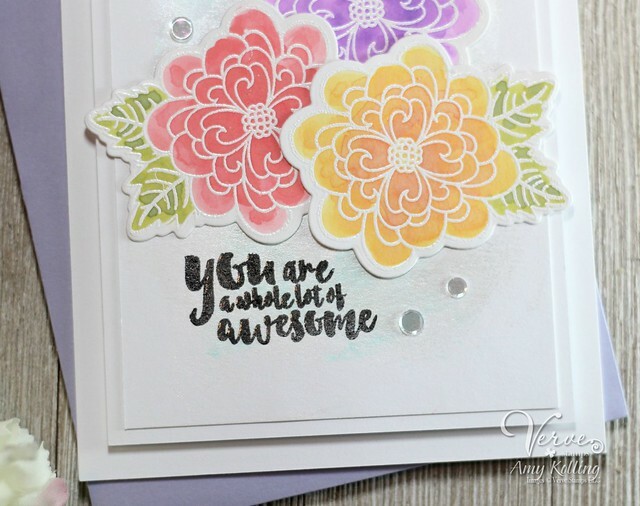 I can't stop white heat embossing these flowers and using watercolors! After heat embossing on some Bristol Smooth watercolor paper, I smooshed some Distress Oxide inks in Spiced Marmalade, Abandoned Coral, Wilted Violet, and Peeled Paint onto an acetate sheet. Using my waterbrush, I simply colored in the blooms and leaves, letting them dry in between applications. I love the opaque look and shading these inks give when watercolored! I added my blooms to a trimmed white panel that had some Nuvo Embellishment Paste applied to the background for a shimmery look (applied with my finger). My sentiment was stamped in Versafine Onyx Black and clear heat embossed. I had a little fun with this sketch and changed up the orientation a bit but that's what a challenge is all about! The same basic layout is there but flipped! Using Berry Sweet stamps and dies, I cut out my strawberry and clear heat embossed the seeds. 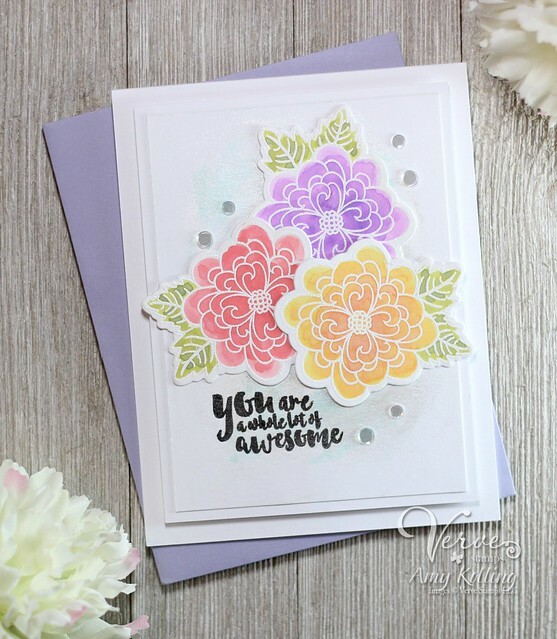 It was layered over the layered pinking and dotted circle from Flowers for Mom Confetti Cuts. 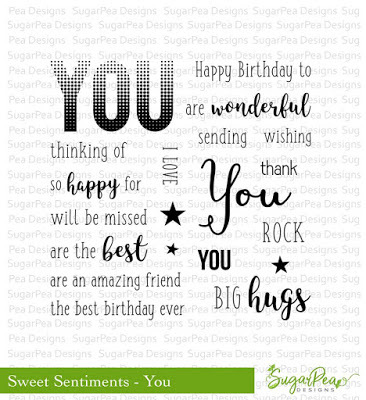 The sentiment was black heat embossed onto a strip of pattern paper from Under the Umbrella paper pad and matted with Avocado and Salsa cardstock. 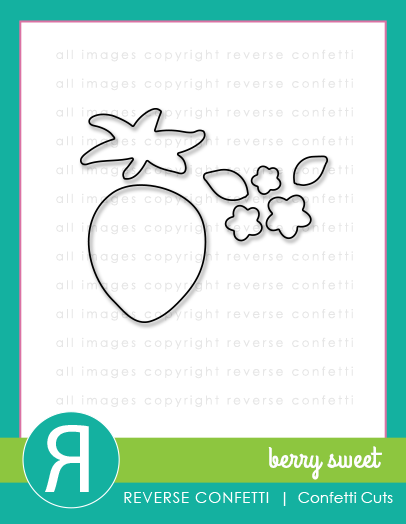 As the finishing touch to the sketch, a few black enamel dots were added. Welcome to Day 2 of the Anni-VERVE-sary Spotlight Hops! It's time for another day of spotlighting the Verve release with the Verve Divas and special guests! We're super excited to have a few very special Diva Alumni joining us for the hop today. Everything previewed this week will be available to order in the Verve online store on Monday, August 28. If you just can't wait, you can pre-order the entire release now as the August 2017 Buy it All Bundle at a 30% discount through August 27. 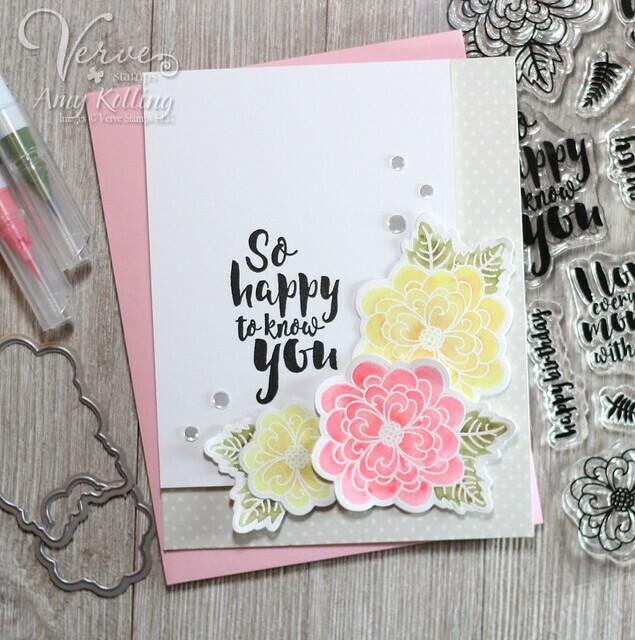 Today we're sharing our first projects featuring the Bloom Brighter stamp set and coordinating, Blooming Die Set. A fresh take on the flower from the retired commemorative set Beautiful You, this beautiful encouragement set is perfect for a variety of cardmaking occasions. 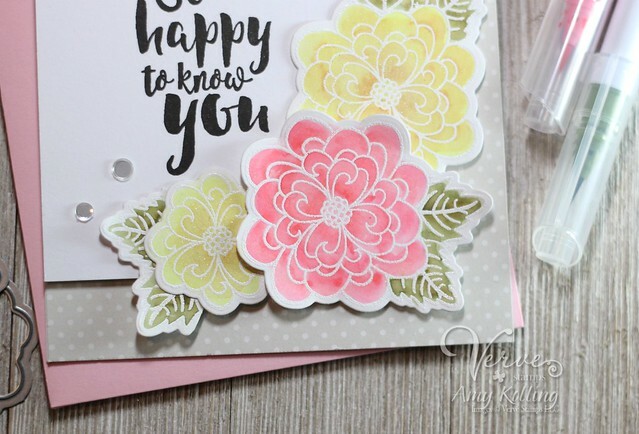 Using the new Bloom Brighter stamp set and Blooming coordinating dies, I've white heat embossed the flowers onto Bristol Smooth watercolor paper. To add color, I used my Zig Clean Color Real Brush Markers and a waterbrush. After die cutting, I arranged my flowers onto the right lower corner of a trimmed white panel. My sentiment is stamped in bold black using Versafine Onyx Black. My whole panel was adhered to a top folding notecard layered with a soft grey polka dot paper. 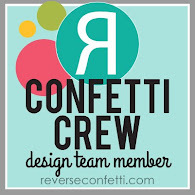 For that finishing touch, a few clear confetti were added with Multi Medium Matte. Hello! 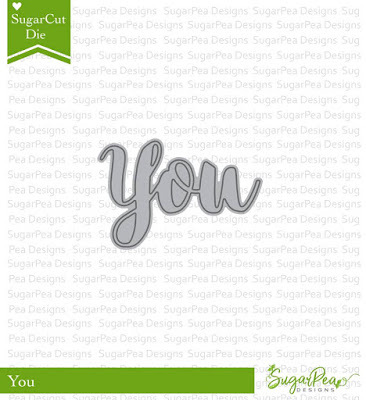 It's release day for SugarPea Designs and I am excited to share my last project I've been working on for the brand new release! 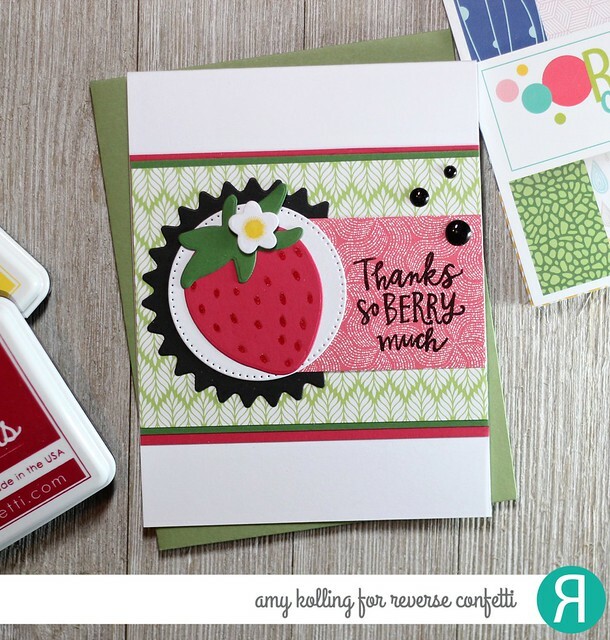 Each day this week, we shared inspiration using the new release. With several new stamp sets, matching dies, and even new paper products.......there's something you are sure to love! 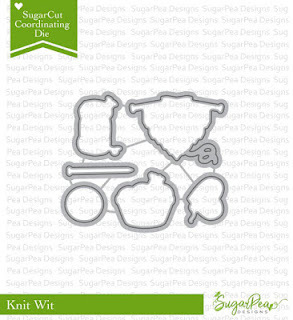 All the NEW products that will be available for purchase starting this today, August 25th at 6PM EST in the SPD Store. 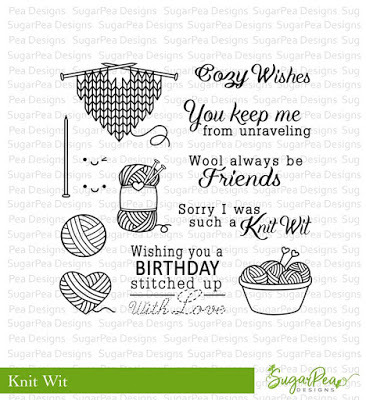 Today's set is just adorable and called 'Knit Wit' and part of the Sweet Incentive Program from SugarPea Designs. 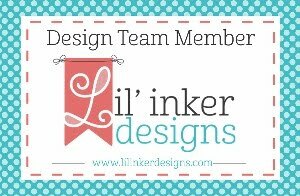 Make sure to visit the SPD blog for details! 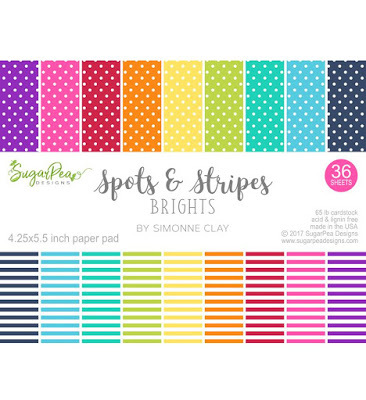 I added a piece of polka dot paper from Spots & Stripes Brights and a strip of black cardstock to the bottom of a trimmed white panel. I stamped, Copic colored, and die cut my images from Knit Wit. I arranged them so that my sentiment could nestle there to the right of my images. I just love this sentiment!! 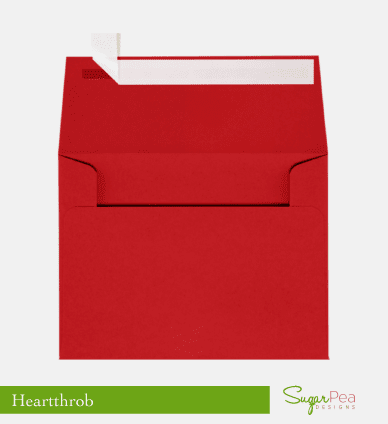 Would you like to win the today's stamp set? All you need to do is leave a comment on the SPD blog. It's really that easy! 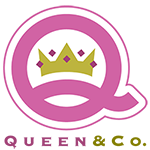 Winners during our Product Release will be announced on Monday, August 28. Hello! I am excited to share some of the projects I've been working on for the brand new release from SugarPea Designs! Each day this week, we will be sharing inspiration using the new release. 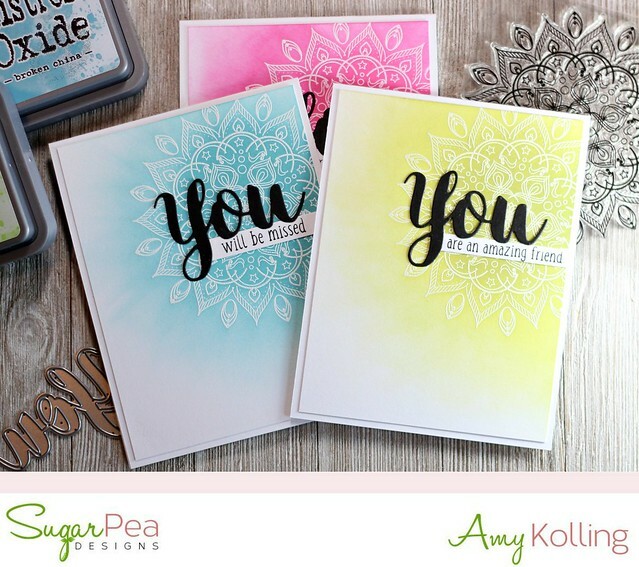 With several new stamp sets, matching dies, and even new paper products.......there's something you are sure to love! I hope you'll join me here over the next 5 days as I share Sweet Peeks for the all the NEW products that will be available for purchase starting this Friday, August 25th at 6PM EST in the SPD Store. 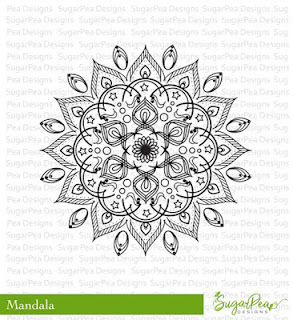 Each of my cards were white heat embossed with the the Mandala stamp. Using Twisted Citron, Broken China, and Picked Raspberry Distress Oxide inks, I blended them over the image for the emboss resist technique. I gradually tried to "fan" the color out towards the edges and I did this by dragging my distress tool/sponge outward creating these streaks kind of like sun rays! 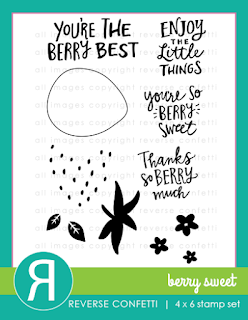 A die cut You SugarCut was done in black on each of the cards along with a sentiment strip from the Sweet Sentiments - You stamp set. 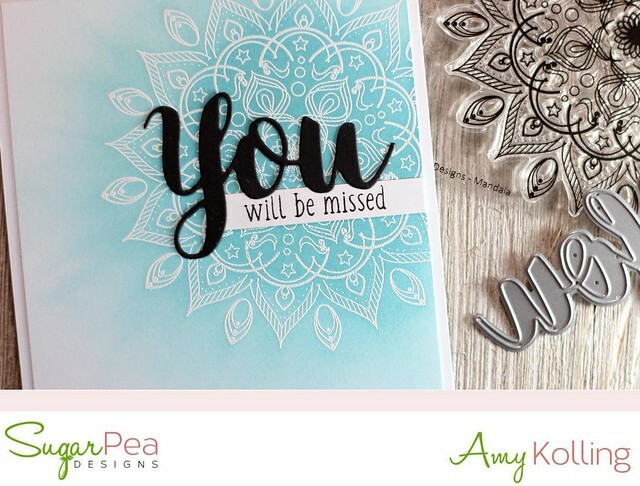 These are perfect cards for mailing! 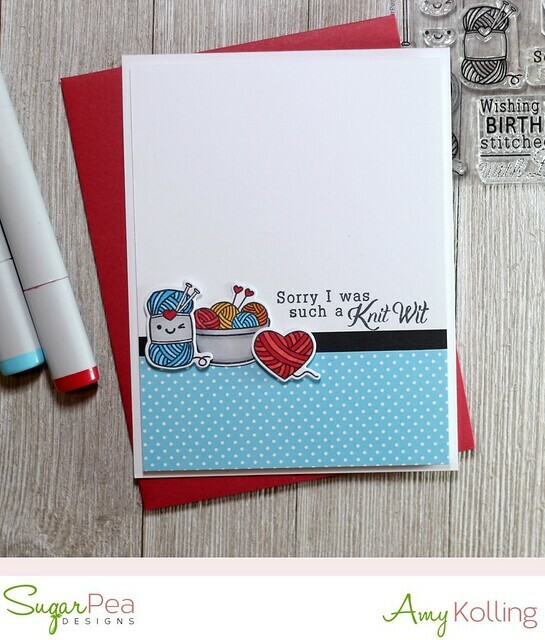 Would you like to win one of the featured stamp sets? All you need to do is leave a comment on the SPD blog. It's really that easy! 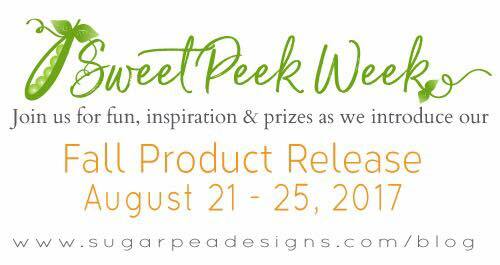 Winners during our Product Release will be announced on Monday, August 28. Neat & Tangled / Birthday Celebration! 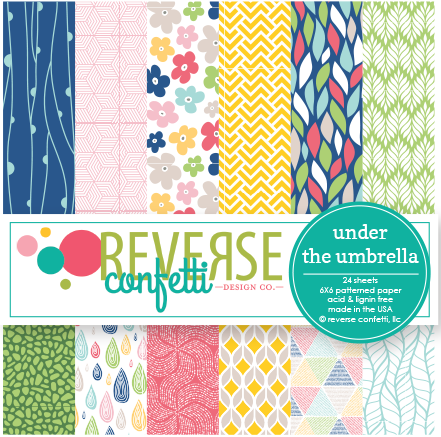 Reverse Confetti / Birthday Sale!